Thoughtfully crafted Scripture resources and goods for the treasuring of God's Word. Scripture Type was founded on a desire to memorize God's Word. Please enjoy our collection of free wallpapers / locks screens to aid in your own meditation and memorization of Scripture. Just about everything you find in our shop is taken from initial design to finished product in our San Diego studio. 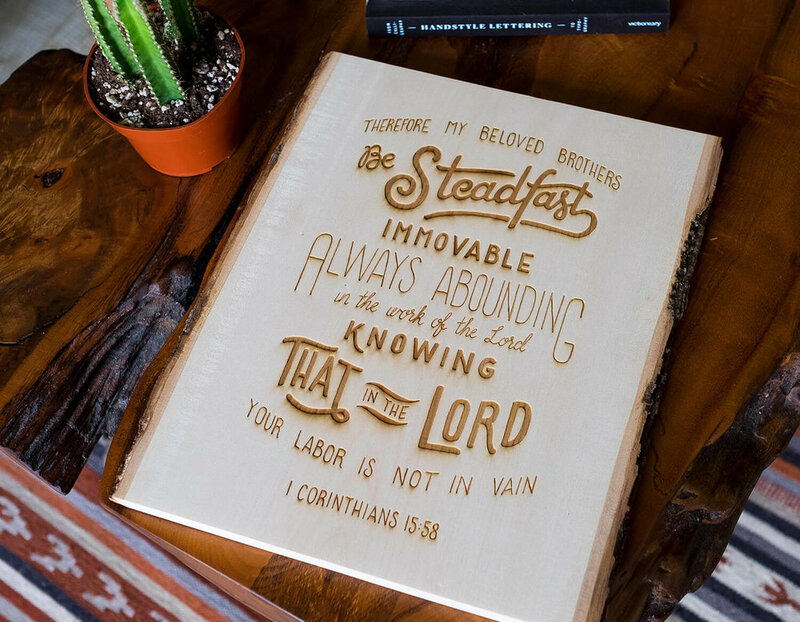 Our aim and desire is to create quality products that help you (and us) treasure God's Word. 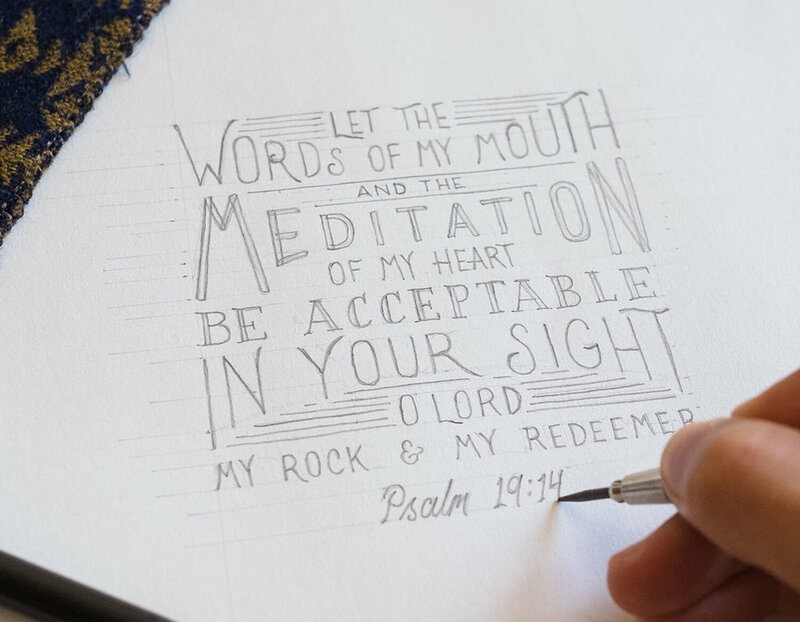 Take a peek into what goes on behind the scenes at Scripture Type. Here you'll find other resources we love, a closer look into some of our processes and products, and what we're learning along the way.